And finally to three recent interpretations of Exodus 3:14 which between them reflect the contemporary state of Jewish scholarship and exegesis on the subject. First to Nahum Sarna, who in his commentary in the JPS Torah presents three possible literal translations of ehyeh asher ehyeh. These are, “I Am That I Am”, “I Am Who I Am”, and “I Will Be What I Will Be”. He contends that the declaration ehyeh asher ehyeh “clearly evokes” the name YHWH, and that it informs us of the earliest recorded understanding of this name, which is as a verbal form deriving from the verb root hayah. He further proposes that hayah expresses either “the quality of absolute Being, the eternal, unchanging, dynamic presence”, or that it conveys the meaning of “causing to be”. However, as pointed out by Propp, the latter interpretation would require a linguistic reconstruction of ehyeh asher ehyeh and so is not a tenable interpretation of the text. Concentrating, therefore, only on the former meaning Sarna proposes for hayah – “the quality of absolute being, the eternal, unchanging, dynamic presence” – his interpretation is best understood in the context of his corresponding comments in Exploring Exodus. There he indirectly proposes that the meaning connoted by ehyeh in Exodus 3:14 is, “Being in the sense of the reality of God’s active, dynamic presence”, and not, “Being as opposed to non-being, not being as an abstract, philosophical notion”. In the former of these quotations, Sarna appears to be acknowledging and affirming the interpretation of Buber and Rosenzweig, while in the latter he appears to be rejecting a strictly philosophical interpretation of the verse. However, it should be noted that this is at odds with his mention of “absolute being” in the quotation taken from the JPS Torah above, and whilst on balance his interpretation is on the temporal as opposed to the absolute side of the exegetical divide, he is apparently trying to reconcile the two in his description of the quality of God’s “being” (or existence) as both “active” and “dynamic” on the one hand and “absolute” on the other. In Exploring Exodus Sarna does not choose between the three possible literal translations of ehyeh asher ehyeh proposed by him in the JPS Torah. He instead contends that whichever way the declaration is translated its meaning is the same, which would in turn imply that whichever way it is translated does not matter, which is in my opinion false. Setting this to one side, the meaning he proposes for ehyeh asher ehyeh can best be considered as falling into two parts. The first is that, “the Divine Personality can be known only to the extent that God chooses to reveal His self”, and the second is that the Divine personality, “can be truly characterised only in terms of itself, and not by analogy with something else”. In relation to the first part – that, “the Divine Personality can be known only to the extent that God chooses to reveal His self” – Sarna makes no explicit linguistic connection between the words ehyeh asher ehyeh and the meaning he attributes to them. However, from this part of his interpretation we can deduce that his understanding of ehyeh asher ehyeh corresponds in translation to “I Am Who I Am” or “I Will Be What I Will Be”, both of which are proposed by him in the JPS Torah. We can deduce this because the first part of his interpretation implies that God is being evasive or secretive in His response to Moses’ enquiry of Exodus 3:13, and that He is only revealing to Moses His inaccessibility to human thought, which is along the lines of Halevi’s interpretation. I find this suggestion highly implausible because it is very hard to believe that Moses would have been at all impressed by such an elementary understanding of God and very hard to imagine how it could have encouraged him to undertake the monumental task that he was being commanded to undertake. In relation to the second part of his interpretation – that the Divine personality, “can be truly characterised only in terms of itself, and not by analogy with something else” – Sarna appears to be interpreting the twofold occurrence of ehyeh in ehyeh asher ehyeh as a twofold occurrence of the Divine name ehyeh and as God’s way of informing Moses that His Person can be designated only in terms that are uniquely attributable to Himself. He is, therefore, apparently recognising both occurrences of ehyeh in this declaration as identical in meaning, just as did Maimonides, and although I consider both he and Maimonides to be incorrect in their interpretations of ehyeh asher ehyeh, I am nonetheless convinced that this is a very important insight into how this declaration should be interpreted and will be returning to it later. In his JPS Torah commentary Sarna does not explicitly identify a name in Exodus 3:14, only inferring the presence of one by identifying ehyeh as, “the corresponding first person singular” of YHWH, which is along the same lines as Rashbam. However, he does explicitly identify a name in Exploring Exodus and does so in similar terms to Ibn Ezra. That identification reads as follows: “This explains why God uses the first person – Ehyeh – instead of the regular third-person form of this verbal name – YHVH”, thereby correctly identifying Ehyeh as a “verbal name”. However, I believe Sarna is mistaken in the JPS Torah when he explains why God would designate Himself with the first person singular form ehyeh instead of the third person form YHWH. His explanation is that name-giving in the ancient world was believed to confer power over the one named and so to insure Himself against any such external influence God must have a Self-given name and so He employs the name YHWH in its first person singular form ehyeh. With all due respect to Sarna, I would suggest that God designating Himself in the first person singular has nothing at all to do with pagan superstitions, because no such nonsense could prompt God to respond in a Self-protective way, as his explanation implies. Indeed, there is nothing at all that could prompt God to respond in a Self-protective way. On the contrary, the explanation must be that God is absolutely unlike all that is not Him and so He cannot perfectly articulate how He is known to Himself by reference to anything else. He can therefore only perfectly designate Himself in the first person singular as opposed to the third. Sarna’s explanation also implies that the name ehyeh is only incidental in the exchange between God and Moses rather than being its focal point, and that the importance of ehyeh relates entirely to its implications for the meaning of the name YHWH. 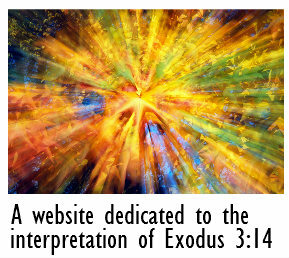 Indeed, he is essentially proposing that the revelatory content in the exchange between God and Moses at the Burning Bush does not relate at all to ehyeh as a Divine name but instead to the meaning of the word ehyeh as communicated in the Divine name YHWH, and that the focal point of their exchange is therefore the name YHWH rather than ehyeh. I strongly disagree with this contention for reasons that will later become clear. What Sarna does not do in either of his interpretations is suggest how the ehyeh of 3:14b should be translated, and although his interpretation of ehyeh asher ehyeh implies that it should be translated as ‘I am’ or ‘I will be’, he does not take a position on which of these it is. Nor for all of their superficial appeal does he explain how ehyeh asher ehyeh can be understood to communicate the meanings that he proposes for it, instead simply stating those meanings as facts. Nor does the meaning he proposes for ehyeh in this verse bear any linguistic relation to the meanings he attributes to ehyeh asher ehyeh. Nor does he explain precisely how the ehyeh of 3:14b relates to the declaration ehyeh asher ehyeh. Nor does he explain how the average Israelite could have been persuaded that the name YHWH bears any relation to the word ehyeh and hence how YHWH conveys any of the meanings he proposes for either ehyeh asher ehyeh or ehyeh. Nor does he anywhere appear to take account of the fact that the declaration ehyeh asher ehyeh was only intended for Moses’ ears and so presumably was its meaning. Nor does he explain how either ehyeh asher ehyeh or ehyeh can be reasonably understood to constitute a name at all, and his proposal that ehyeh is the first person form of YHWH does no more than transfer that challenge to the name YHWH, which gets us nowhere. And finally, even if he could supply explanations where needed for the above, he would still need to explain how such rudimentary understandings of God as those communicated in the meanings he proposes for ehyeh asher ehyeh and the absolute ehyeh could have so impressed and inspired Moses and the Israelites that they would be prompted by them to undertake and endure all that they are said to have undertaken and endured. There are, therefore, a number of very important questions left unanswered in Sarna’s interpretation, which for all of its merits falls far short of being philosophically or theologically persuasive. Considering next the interpretation of Jeffrey Tigay, who in his comments on Exodus 3:13-15 in the Jewish Study Bible states that there is a Divine name in Exodus 3:14, but he doesn’t identify which part of the verse it is. He proffers “I Will Be What I Will Be” for the translation of ehyeh asher ehyeh and interprets its meaning to be, “My nature will become evident from My actions”, which is similar to the first of the six interpretations in Exodus Rabbah 3:6. He proposes ehyeh asher ehyeh as the explanation of the meaning of the name YHWH, as did Maimonides, and the ehyeh of 3:14b as a shortened form of ehyeh asher ehyeh, as did Halevi, and as the first person singular imperfect form of the verb root hayah, as have several other exegetes considered above, and to mean “I Will Be”, as was first proposed by Aquila and Theodotion. He understands YHWH to be the corresponding third-person form of hayah, as did Rashbam and Ibn Ezra, and to mean “He Will Be”. His interpretation thus draws from a wide variety of sources and from diverse approaches to the interpretation of the verse, as one would expect of a study Bible. However, as pointed out in the Textual Analysis of Exodus 3:13-15, the contention that God would designate Himself with an absolute future tense of the verb ‘to be’ is highly problematic from a theological standpoint and in my opinion cannot be correct. Besides this, it is very difficult to believe that the Israelites would have been impressed by the assurance that God would become known to them by His actions. If that were the case, then His actions on their behalf prior to Moses’ arrival would certainly not have inspired them to believe that He was on their side and yet they accepted Moses’ mission to them before God had done anything else for them. On the basis of these two objections alone I am ruling out Tigay’s comments from further consideration because to analyse them further would only lead to a repetition of the objections I have already made to the various interpretations he has drawn from. And finally to the interpretation of William Propp, who has followed Aquila and Theodotion in his translation of the verse. He translates ehyeh asher ehyeh as “I will be who I will be” and the absolute ehyeh as “I-will-be”, and he characterizes the response God makes to Moses in Exodus 3:14 as being, among other things, “redundant”. He explores the many ways in which ehyeh asher ehyeh can be translated and what it might mean, but he settles on the view that this phrase is no more than an idem-per-idem semantic device intended to present God as, “simply being cagey”. The implication of this is that in Exodus 3:14 God is explicitly concealing knowledge of Himself from Moses rather than revealing anything to him, which in the context of the Burning Bush narrative is highly implausible. As for the ehyeh of 3:14b, he notes the possibility that this could be a Divine name and that God could therefore be revealing two names in Exodus 3:14-15, but he rejects this possibility because of his uncertainty that ehyeh is the first person equivalent of YHWH and because ehyeh does not definitely occur elsewhere in the Bible as a Divine name (see the penultimate paragraph of Modern Jewish Philosophy above). He eventually settles on the proposition that the ehyeh of 3:14b is “nonsense” and that YHWH is here displaying “anthropopathic petulance”, which is reminiscent of the interpretation of Leviticus Rabbah 11:5. What Propp does not explain is how he reconciles his understanding of these four enigmatic words with the impact they apparently made on Moses and the enslaved Israelites in Egypt. He even gives the impression that this question has not occurred to him, which would puzzle me considering the time and energy he has evidently devoted to this text. On the other hand it must be recognised that Propp takes an unapologetically anthropological approach to his interpretation of the biblical text and as far as I am aware makes no claim to any philosophical or theological expertise in relation to it. And so it is perhaps not surprising that he takes such a sceptical approach to these four words which are so strikingly unique and enigmatic that they could easily appear to him to have no sensible place in an otherwise plainly written text. Moreover, his interpretation also serves us well by speaking eloquently of the profound and continuing disagreement and incomprehension in relation to the meaning of Exodus 3:14, even amongst the most respected religious thinkers and biblical scholars in Judaism. I would suggest that none of above interpretations come even close to explaining how the four enigmatic words of Exodus 3:14 would be capable of so advancing or enlarging the average persons understanding of God that they would be inspired by them to rise up defenceless under imminent threat from a massively powerful oppressor, as did Moses and the Israelites in Egypt, and so they are all very unlikely to be correct.